Wow, does time fly. Alexander and Jackson are both big boys now. We love this family and are so happy Jackson is now walking! It’s always a pleasure photographing this crew as their family grows. We know it’s holiday time when we get to see Amanda and her twin sisters Lucy and Serena at our studio for a fun photo shoot. This year’s theme was hot pink and white! We can’t wait to design a holiday card with some of these great shots. Family Photo Shoot on Davis Island! Grandma celebrated her birthday with a gift from her children: a location photo shoot with Sarah Merians and the family. Sarah arrived in Branford, Connecticut and was picked up by boat to travel to the Thimble Islands. The shoot happened on Davis Island, a beautifully serene and almost magical place. Sarah got some great shots of the family and the three generations!! It was so nice catching up with this bunch at their New Jersey home for a photo session! We haven’t seen this crew since Dylan’s Bat Mitzvah back in 2010. We can’t wait for Zach’s! SUMMER IS UPON US… why not schedule a family shoot at the beach? 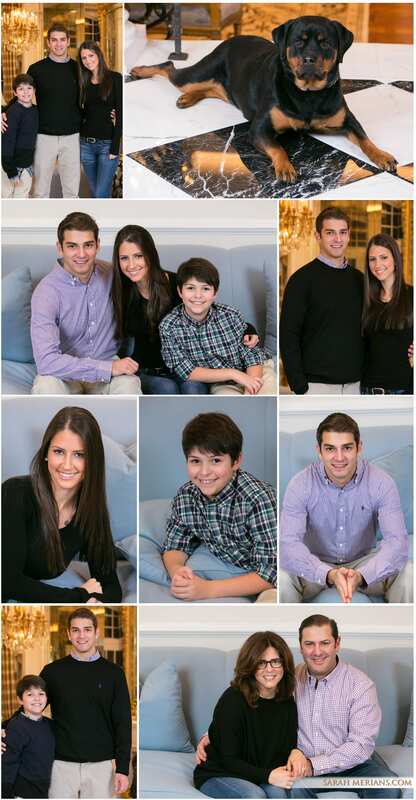 Take a look at our best of 2013 summer collection below and give us a call at 212-633-0502 to schedule your New York/NJ beach or home photo session! Estee, Mark, Noah and Benjamin came to the studio dressed in blue for a great photo session with Sarah! We first met the kids out in the Hamptons last summer, but we’ve known Mom and Dad since 2004, when the happy couple tied the knot. Our photographer, Sheila, was on hand to document the wedding and it’s been so special watching their family grow over the years. We can’t wait to see them again next year! We love seeing twins Lucy and Serena and older sister Amanda at our studio each year for their holiday shoot. The girls are getting so big! It’s always a pleasure to photograph these three as they really just love to have fun dancing and posing for Sarah Merians’s camera. This year, we designed a card in shades of blue and purple to coordinate with the girls’ outfits. Take a look at some of the great shots from the shoot plus the designed holiday card below!